Our 2019 CSA runs for 16 weeks from July 11th to October 24th. 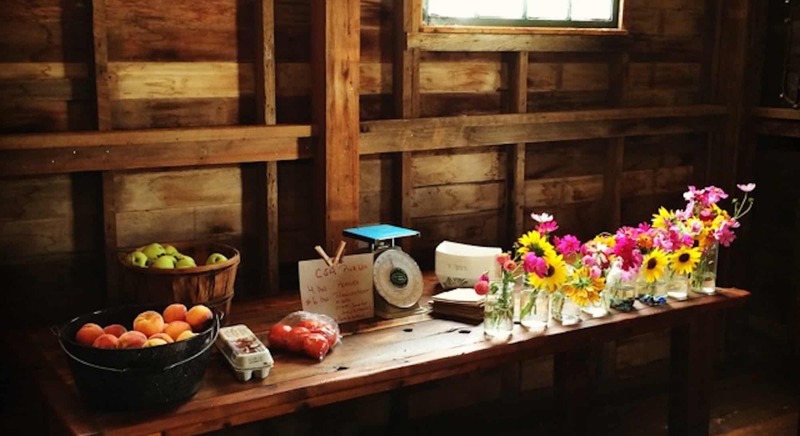 You may also choose a biweekly pickup for a 8-week CSA Share starting July 11th. Each week, fruit CSA members will receive an assortment of in-season fruit suitable for both baking and fresh eating. Veggie CSA members will receive an assortment of in-season veggies and fresh herbs from our gardens. Each member will also receive a bouquet of flowers from our gardens. 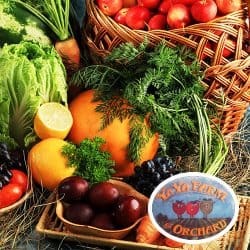 If you prefer to cut your own flowers, pick your own veggies, or fruit, we are happy to have you do that. In addition, each weekly share will include a gallon of fresh-pressed sweet apple cider and one pint of raw honey. Each biweekly share will include 1/2 gallon of fresh-pressed sweet cider and 1/2 pint of raw honey. 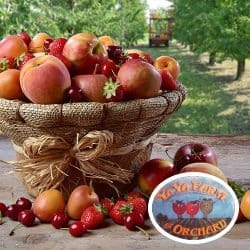 YA YA Farm & Orchard, 6914 Ute Hwy. 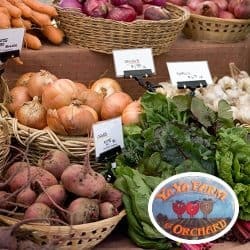 Our CSA is Open Market Form – we do not pre-bag and weigh, you pick what you would like! Please add your selections below to make your 2019 CSA Shares purchase. Alternatively, you can download the form here and then send the completed version to YA YA Farm & Orchard with your check. Once finished, you will be taken to our PayPal site to complete the transaction. Depending on what is ripe, you will receive 4 pounds (approx.) of stone fruit, or 6 pounds (approx.) of pears and/or apples each week. One 4-pound bucket pie cherries, one gallon apple cider, and one pint raw honey per season. Melons and pie pumpkins may also be available depending on the season. You will receive fresh veggies to feed a family of 2-4 people per week. Depending on what is ripe, you will receive 4 pounds (approx.) of stone fruit, or 6 pounds (approx.) of pears and/or apples each week. You will also receive fresh veggies to feed a family of 2-4 people per week. Pie pumpkins, melons, one gallon apple cider, and one pint raw honey per season. 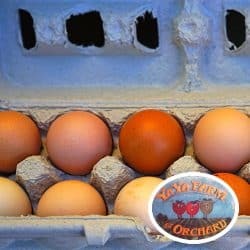 You will receive one dozen eggs per week for the weekly plan, and one dozen eggs every two weeks for the biweekly plan.